BConnected has been serving INGOs and the corporate sector of Sri Lanka for over 22 years. Our internal staff, together with external partners and contractors, offer innovative, tailor-made solutions and a range of services to meet diverse client needs. Our expertise in event management is renowned. We are well-recognized as an organizer of corporate events, whether it be a company meeting or an international conference. We consider every tiny detail and all eventualities. BConnected also specializes in human resource management which includes recruitment and outsourcing. We also handle corporate support services, assist in corporate communications, and provide specialized rapporteuring services. We believe that PERFECTION and PROFESSIONALISM, combined with PASSION and COMMITMENT, are the essential ingredients that give us the cutting edge in a competitive corporate environment. Felicia has over 22 years of experience in planning, directing and implementing diverse events. 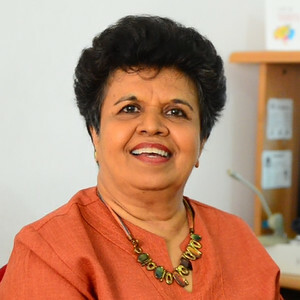 She has developed and managed BConnected, building a reputed brand in professional conference management in Sri Lanka. Many local, regional and international conferences have been very successfully managed under her direction. 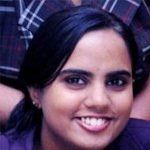 Felicia is a Board Member of SLAPCEO (Sri Lanka Association of Professional Conference & Event Organizers) and is a resource person of the Sri Lanka Convention Bureau (Tourism Development Authority) on the subject of Conference Management. Felicia is a Board Member of World Vision, Sri Lanka as well as Vision Fund Sri Lanka. She is Vice President of Chrysallis, an Association of Former UNICEF Staff. You can now follow us in Linked and receive frequent updates on latest job opportunities in Sri Lanka. Natasha is a non-working Director. She worked previously at BConnected as a HR Executive and was also instrumental in starting BConnected Weddings. She is presently pursuing her professional career as a Teacher. She has a BA from the University of Waterloo, Ontario, Canada. 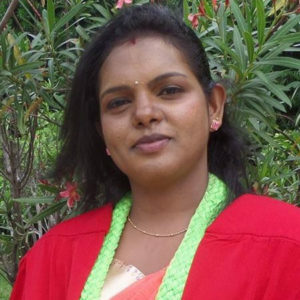 Priyanthi has a Bachelor of Science (Special) in Business Management from the Wyamba University, Sri Lanka and an MBA from the University of Colombo, Sri Lanka. She has completed the Intermediate level in Charted Accountancy and is a CISI certified trainer. She is responsible for all day-to-day operational functions of the company and handles all accounting and financial management, budgeting and costing functions at BConnected. Rushike is a past pupil of S. Thomas’s College and ventured into the corporate world soon after his schooling to gain hands on experience. 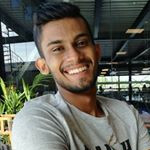 He is currently pursuing two fields of study - marketing at the Sri Lanka Institute of Marketing (SLIM) and a bachelor’s degree in network engineering from the University of Coventry, United Kingdom. He oversees social media management and handles events at BConnected. Lasantha has handled all functions of HR Management in a career of nearly 30 years. He was a Former Head of Human Resources, John Keells & National Development Bank. In addition, he has been a Former Personnel Directordesignate, Personnel Manager and Company Secretary of Unilever Ceylon. 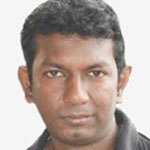 Tharanga is a Concept & Layout Designer with many years experience in the field. His expertise covers the latest design packages. He has handled the concept design for many international and national conferences. He has also handled the concept design for numerous professional and school publications. 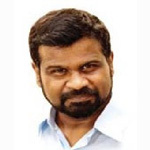 Manoj consults with BConnected on high level financial analysis and annual Company level budget preparations and year end auditing. He has over 10 years of experience in Management and Financial Accounting, Taxation and Auditing. 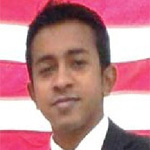 He is a member of AAT and part qualified from Institute of Chartered Accountants of Sri Lanka. He has qualified at level 5 of ABE. Achala is a highly experienced photographer and videographer with over 18 years of experience in the field. He has operated his own Studios and is the Oﬃcial Photographer/Videographer for a high profile corporate entity. Achala is extensively connected to media networks due to his involvement as an Announcer and Videographer with TV and Radio. He has worked with BConnected at many international conferences and meeting and delivered a high standard of quality photographs and video coverage. His commitment to timing and delivery is commendable. 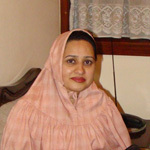 Sakina has over 15 years of experience in the field of corporate communications; having worked for a leading Annual Report Production House dealing with top corporates of Sri Lanka and overseas, and later as the Group Communications Specialist for a Sri Lankan conglomerate for their overseas plantations business. She is well-versed in the production process of annual reports, sustainability reports, corporate videos and other corporate communication media. She also has experience in Social Media platforms and works to increase and improve social media presence of corporates and small niche market businesses. She today works as a freelance writer and undertakes consultations on all corporate communications and social media related projects. Jeyashanker has more than 20 years of experience in graphic designing, photography and oﬀset printing. He has carried out projects for numerous corporate clients; both local and overseas, INGOs and Foreign Diplomatic Missions in Sri Lanka. 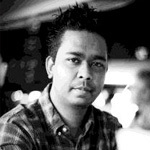 Arshad has worked as IT consultant for B Connected for over 18 years. He ensures that all presentations are programmed and displayed eﬀectively. Arshad also provides a complete master CD of all presentations at the end of each conference, to our client. In the event resource material is required to be given to participants in soft copy, he provides CDs, prior to their departure. 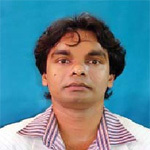 He has proven success in Systems Optimization and Strategic IT Solutions. Installing hardware and software systems, maintaining or repairing equipment, troubleshooting a variety of computer issues, setting up computer security measures, configuring computer networks and oﬀering technical support on-site. Tuan has extensive experience in event management having provided creative concepts for a variety of events ranging from international conferences and awards ceremonies to product launches and training programmes. Hirantha has over 14 years of experience in the hotel industry, of which the past 5 years were at Cinnamon Grand Banquet Oﬃce in the position of Banquets Manager. 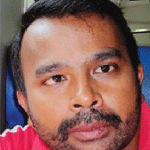 He holds a Masters in Tourism & Hotel Management from the University of Colombo. Presently, Hirantha operates a successful Inbound Travel and Transport unit which partners with BConnected. He ensures all delegates are provided eﬃcient and timely transport. Further, in view of his extensive experience in the hospitality industry, he is able to obtain very competitive rates at hotels and with tour guides.